Next to pencil grasp, poor letter formation concerns are probably one of the most common questions I get from readers. 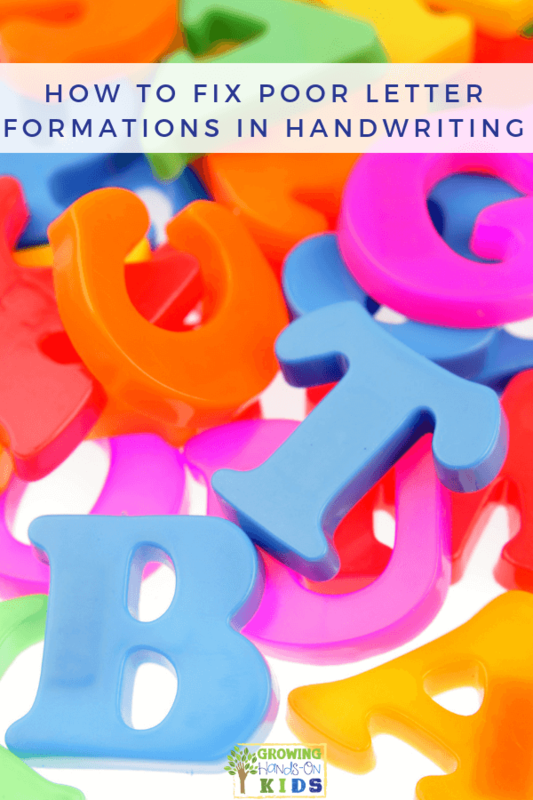 Letter formation can affect legibility and writing speed. 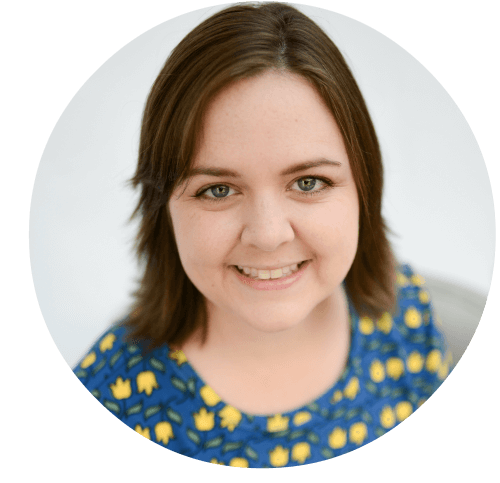 If you have a child or student struggling with poor letter formations, it is important to address. 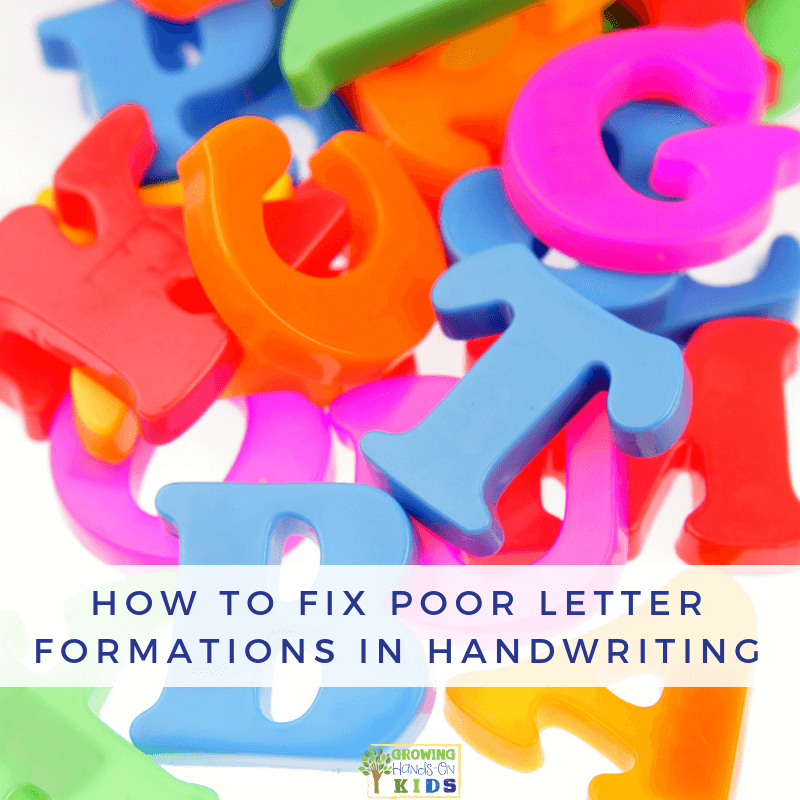 Let’s take a look at how to fix poor letter formations in handwriting. There are 5 specific strategies I will be sharing today. This certainly does not mean these are the only ways to address poor letter formations. 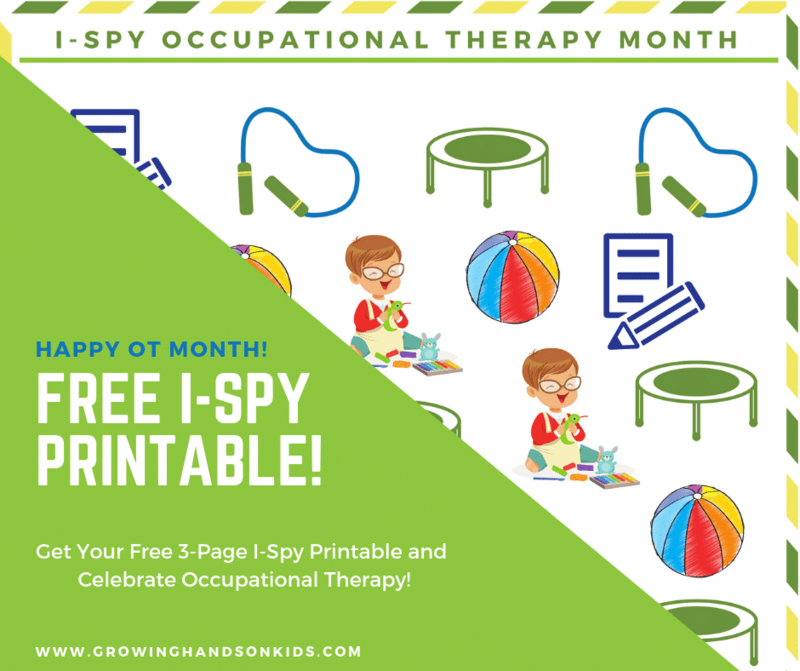 You can find more ways to address poor letter formations in The Handwriting Book, written by 10 pediatric Occupational and Physical Therapists (including myself!). Let’s go on to the 5 strategies I am sharing today for fixing poor letter formations in handwriting. 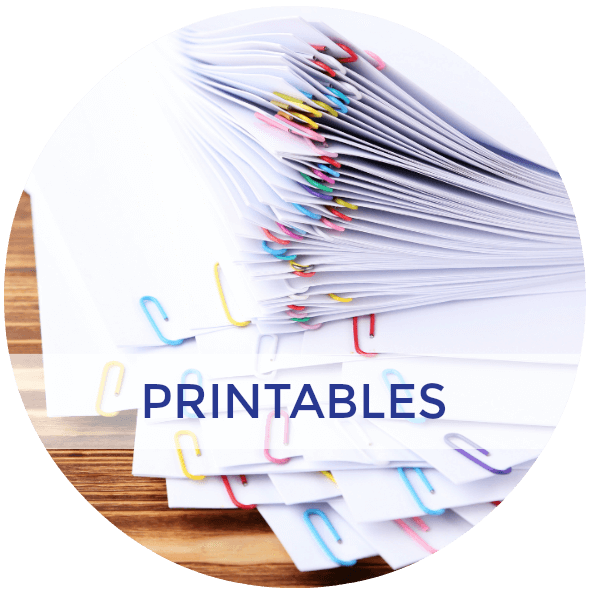 Using adaptive paper can give a child added visual cues for where to start and stop letters. All letters should start at the top of the paper, so I like to use the green for “go”, red for “stop” type paper (My favorite is from Fundanoodle). You can also use a red or green highlighter or marker. Sky/Ground paper is also successful for many kids. You can use a blue highlighter for the sky and brown for the ground. Here is a post from my friend Colleen at The OT Toolbox about Sky-Ground Writing Paper. 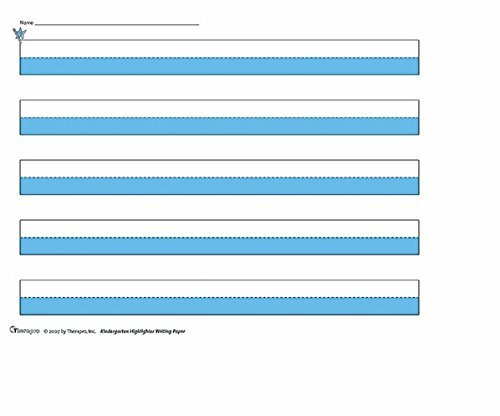 Here are a few more options for an adaptive paper that can be helpful. There are quite a few handwriting programs out there. 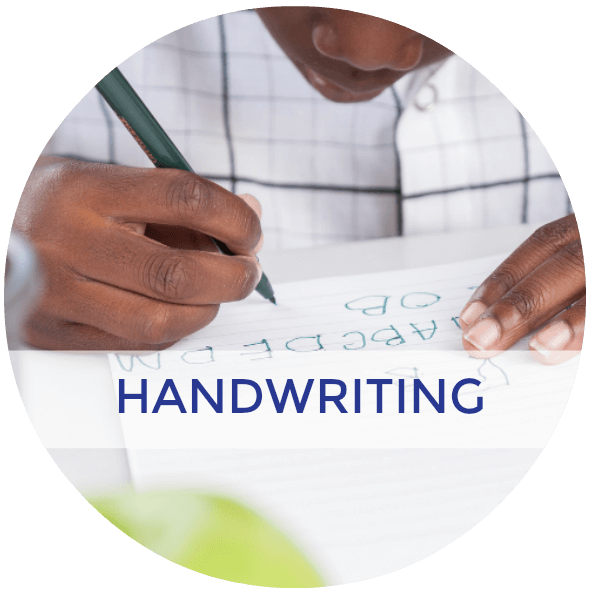 Many are familiar with Learning Without Tears (formerly Handwriting Without Tears). I like certain parts of their program, including the music CDs for letter formations and the “wet, dry, try method”. 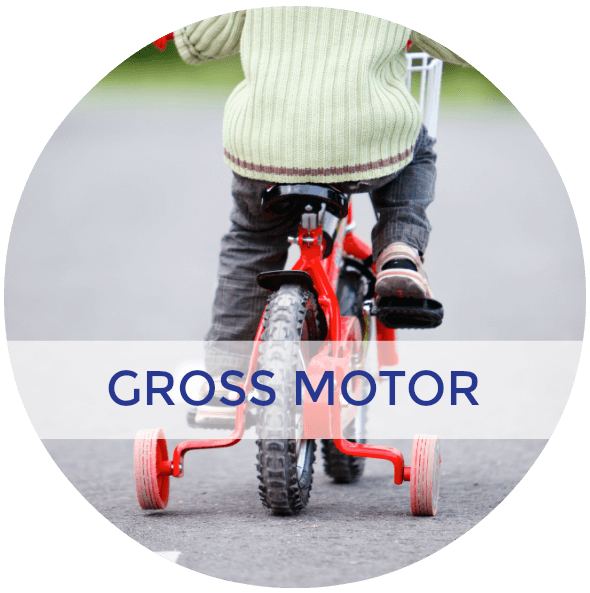 I know many OTs who use this program and have found great success with it. Fundanoodle is also another option that I really like. 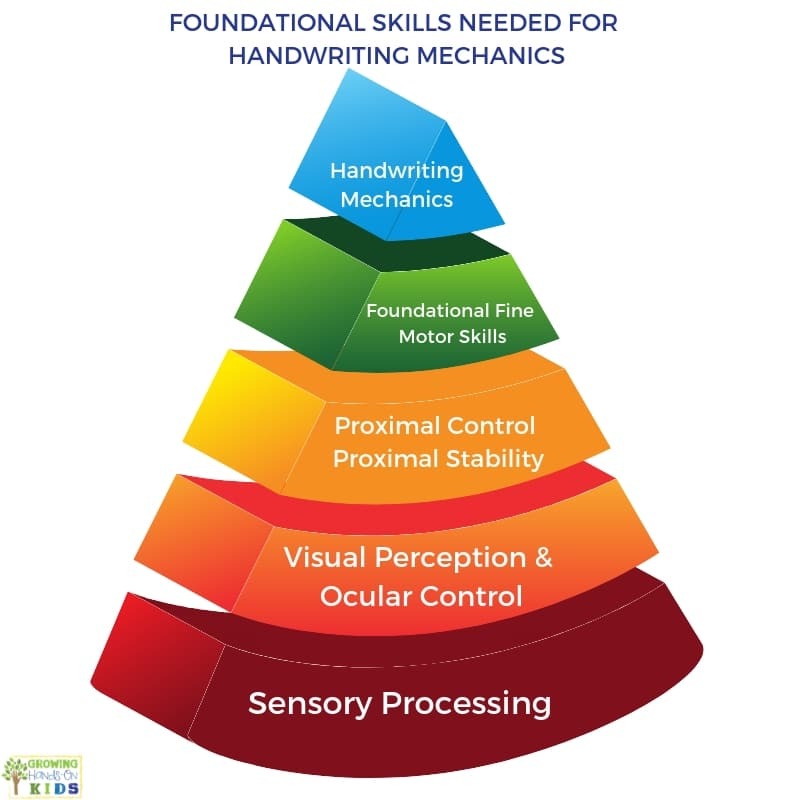 They have 3 different levels of handwriting instruction and it was also designed by Occupational Therapists. 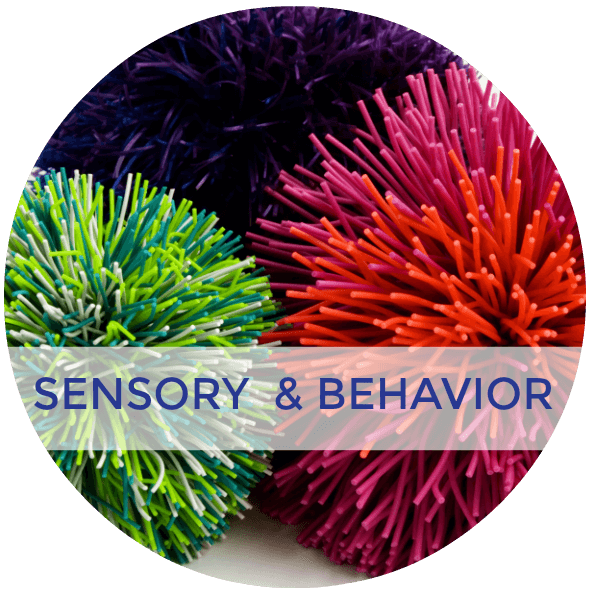 I like that they focus on multi-sensory approaches and the consistency they provide by using the same phrases and visual cues in all their products for start and stop points. Their options are a little more budget friendly. I like this option better than taping one large model on the classroom wall or at home. 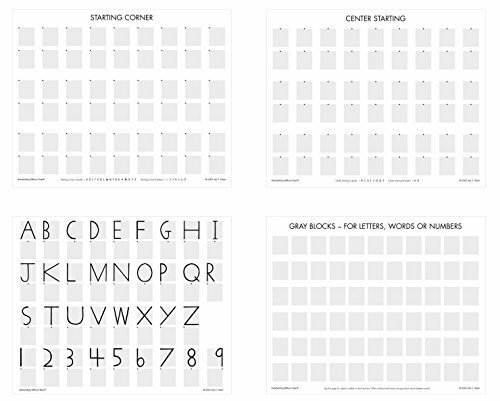 It keeps the reference nearby for each student or child and eliminates a step for children to have to look up in another direction while writing. 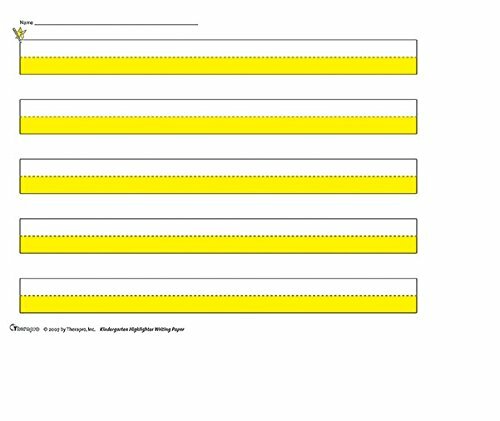 You can create your own models on a strip of paper, or find some online like below. This is a great way to work on letter formations in ways that will be fun for the child and not just with a pencil or paper. You can set up stations for this or do it together as a group or individually. 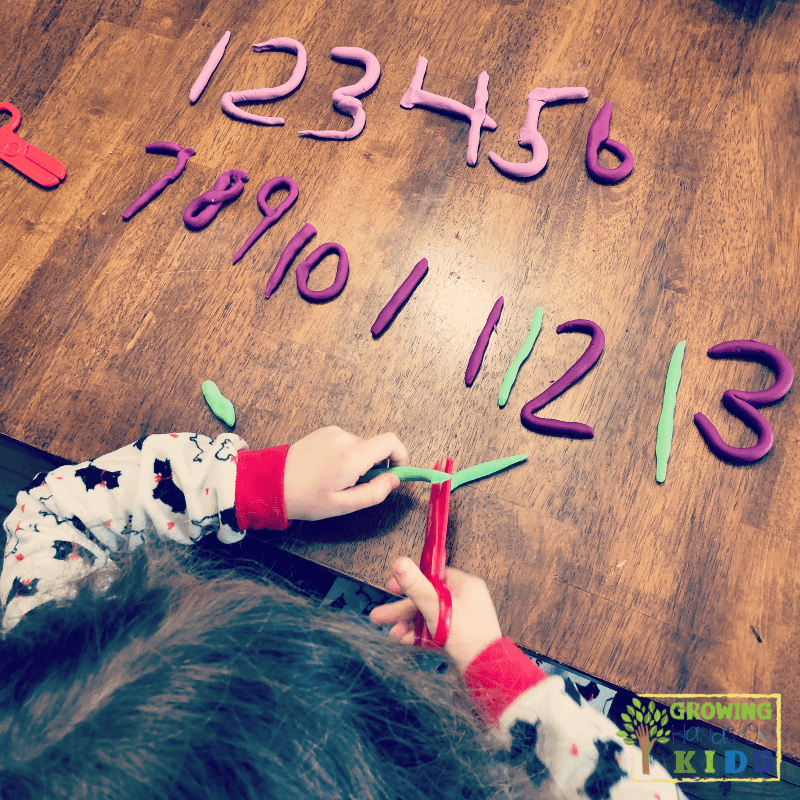 This picture below is of numbers, but you can do the same concept with letters (and pre-writing lines and shapes too!). 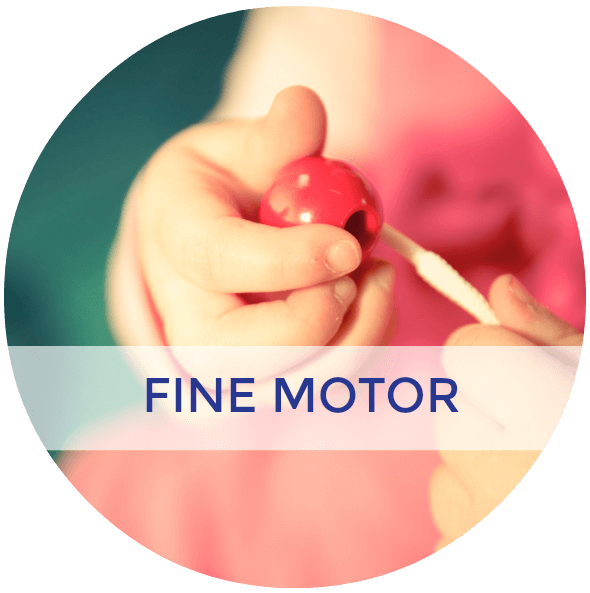 Use a “magic wand” in the air (you can have the child use their finger or use fun colored popsicle sticks. 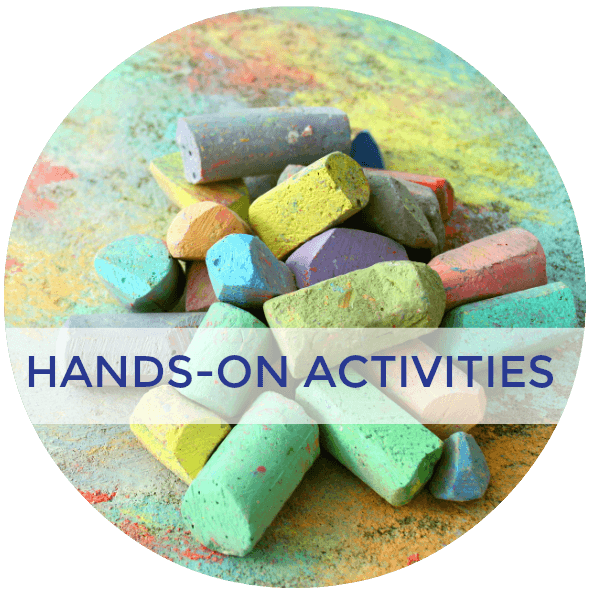 Fill a plastic sandwich bag with colors glue, paint, or hair gel and have the child use their finger to press against the bag to write their letters. 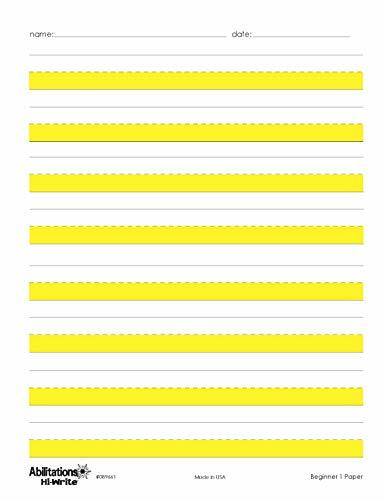 Make tin foil rolls to forms letters. You can get tracing paper from your local office supply store or on Amazon. Then place the models under the tracing paper and have your child use a pencil or marker writing directly on top of the models. 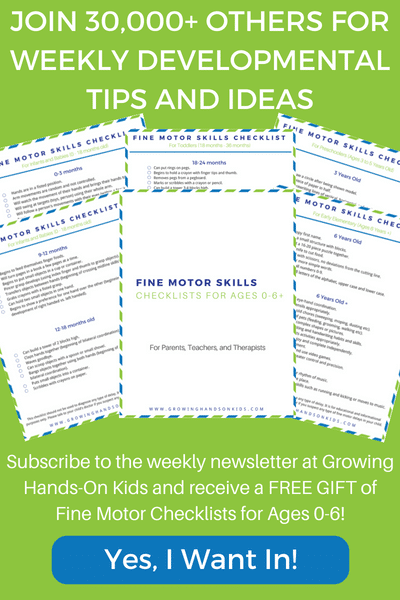 You can find more tips, tools, and strategies on letter formations, pencil grasp, writing speed, and other common handwriting struggles in The Handwriting Book. 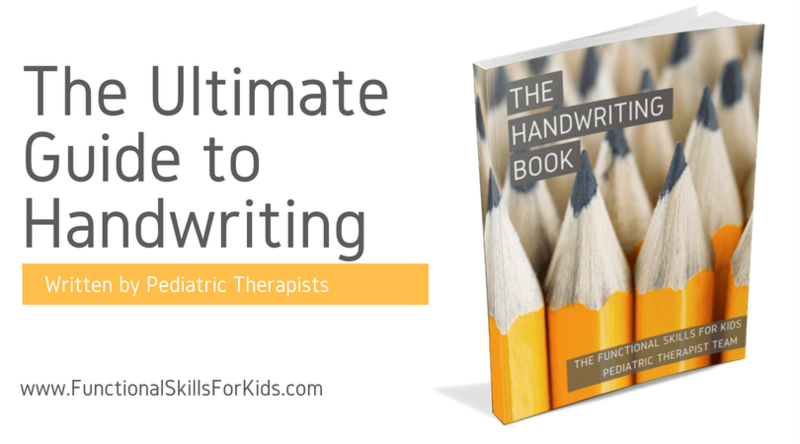 Written by 10 pediatric Occupational and Physical Therapists (including myself), this ebook will give you tons of strategies for working with common handwriting struggles, including kids who just don’t like to write! Click to get your copy today.